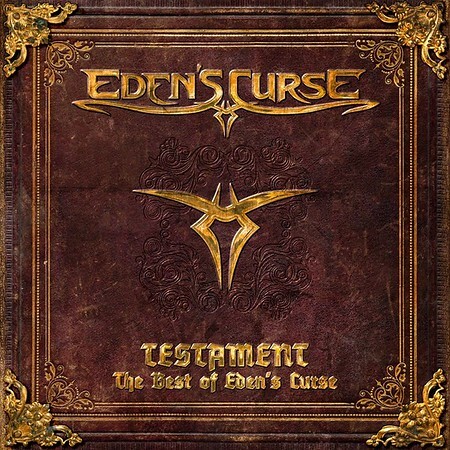 Eden’s Curse was formed in 2006 by Scottish bass player Paul Logue and American singer Michael Eden. They recruited guitarist Thorsten Köehne, drummer Pete Newdeck and keyboard player Ferdy Doernberg. This line-up released the album “Eden’s Curse” in 2007 and the follow-up “The Second Coming” in 2008. The only line-up change for the third album “Trinity” in 2011 was the inclusion of Alessandro Del Vecchio in place or Doernberg. Shortly after the release of that album however, Michael Eden left the band and was eventually replaced by current vocalist Nikola Mijić for the fourth album “Symphony of Sin” in 2013. The fifth Eden’s Curse album, “Cardinal” in 2016 was the first to include all of the current line-up of the band – Paul Logue on bass, Thorsten Köehne on guitar, Nikola Mijić on vocals, John Clelland on drums and Christian ‘Chrism’ Pulkkinen on keyboards. The latest release “Testament” includes 14 tracks from the first five albums on the first disc and the new track “Forever” plus 13 tracks previously released as ‘bonus’ tracks on the second disc. The tracks on the first CD includes “Unconditional” featuring guest vocals from Liv Kristine and “Angels & Demons” featuring Pamela Moore.